I want to take you inside the mind and heart of a child whose parents are separated or recently divorced. I’d like to help you to understand what Christmas will look like for them. It’s a stark contrast to the Christmas most of you will enjoy. We reflect on the Christ child at Christmas most of us feel joy and wonder. We get excited about all the events having to do with the Christmas season. It seems like excitement breeds more excitement. Oh, we may get tired and a little grumpy but inside we know the reason for the season and we are grateful to a God who loved us enough to send the baby Jesus into the world. Church events take on a new and fresh meaning. Angel trees pop up in many churches. Special offerings are taken to help the needy and don’t forget “Operation Shoebox” where families fill shoeboxes for kids in other countries who might not have Christmas. As we take part in these different “giving” activities most of feel a little warmer inside because we give back to a God who has given us everything. Then we come across a sad child or a child who seems lost in their own world. Many of us will try to “happy up” the child. 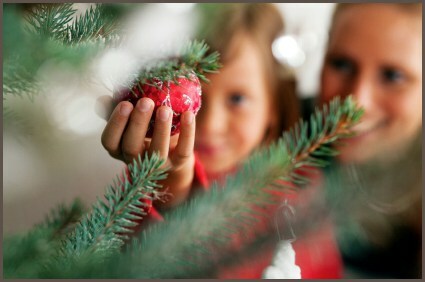 We want the child to feel the joy of Christmas that we feel. We want to share our excitement. But this might be the child who has just found out their parents are separating shortly after Christmas. The magic and wonder of Christmas has been lost for this sad child. The child doesn’t want to be happy right now. Their world is crashing and it is okay for this child to feel their sadness this year. As a matter of fact they deserve to feel hurt and sad. Since her parents have always been married and together, the little girl doesn’t know what “separation” actually means for her. Or it could be a child who has been through this “divorce” stuff before when his mom left a couple of years ago. His dad remarried and now this marriage is beginning to fall apart. He has been seeing the signs for months now – the arguing, shouting and then the silence as each adult has gingerly crept around the house trying to avoid each other. He remembers how hurt his dad was after the last divorce. The man withdrew into a shell, not talking but drinking a lot. Then all of a sudden his dad was bubbling over with excitement about this new lady at work. Before he knew it the lady had moved in and as soon as his parent’s divorce was final, dad and the new lady were married. Everything these two children knew and believed in has been shattered. The elementary age girl is in shock. She doesn’t know what to think or how to feel. What she is feeling inside and in her heart are different kinds of feelings than she has ever experienced before. She doesn’t know how to identify them. People ask her how she’s doing but she doesn’t know what to say. One thing she does know and that is she doesn’t feel any joy. And she gets very irritated when someone tries to “happy her up”. The boy, having been through one divorce already in his short life, is fearful. His main concern right now is for his dad. He is worried about what is going to happen to his dad and privately whether he realizes it or not, he is concerned about himself too. Is going to face another year of parenting his younger sibling? Is he going to face months wondering when dad is coming home at night? Is he going to face again and again opening the refrigerator door only to find very little to feed himself and his younger sibling? Is he going to become the main stay in a house where he has to get his dad up and ready for work each day? Will he have to listen to his dad’s tirades every morning before going to school? Will he wonder day in and day out if dad still has his job? Questions abound with no easy answers in sight. These children need a calming force in their lives. They need Jesus-loving people who will pull them in close, someone who will soothe the broken hearts. Who will hear the pain in their voices and will listen without judging them or their parents. These children need the baby Jesus. This year you will need to share the joy differently to the hurting child. Encourage the child to tell you their story. If possible, help them write down their story in a new journaling book. Help them put a name to their feelings. If you don’t have the time, find a volunteer who will take the child out for a hot chocolate. If possible take the parent they live with along too. On a really sad day, put your arm around them and draw them in close to you. Even if it is only for a second, pull them into you so they can feel your warmth. Stay calm around them. There is some promising research that shows when you have a calmness about you that your heart emits that calmness to the other person’s heart. As children’s people we know it is the Holy Spirit at work in us. Take time to pray for and with the child of divorce. Encourage them and love them rather than trying to happy them up. When you try to happy up a child, to the child it feels like an insecure love and a feeble attempt to care about them. This year love them through the holidays. How will you help a hurting child this Christmas?